It often seems like Hollywood's most important resource is pretty girls, but the movie industry has a special affinity for tough guys. Of course, there are tough guys and there are tough guys, and then there are guys who are so tough that it begins to affect their careers in a negative way. 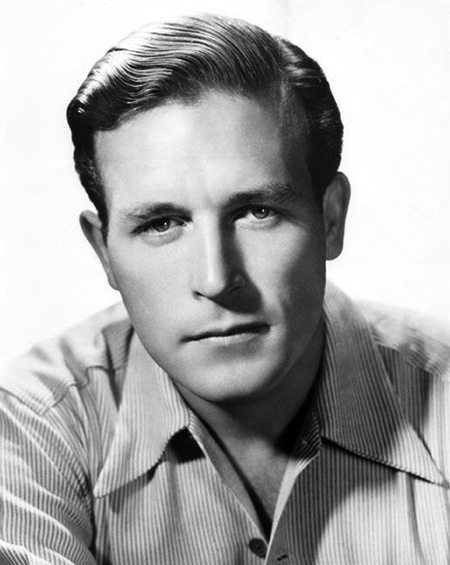 Lawrence Tierney was born the son of a Brooklyn cop in 1919. He displayed a talent for track and field as a youth and won an athletic scholarship to Manhattan College. The academic life did not suit Lawrence, and he dropped out after two years to work as a laborer on the New York Aqueduct. Afterward, he spent two years traveling around the country, working odd jobs before landing a gig as a catalog model for Sears-Roebuck. An acting coach encouraged him to give the theater a try, and an RKO talent scout offered him a screen test and, eventually, a contract in 1943. 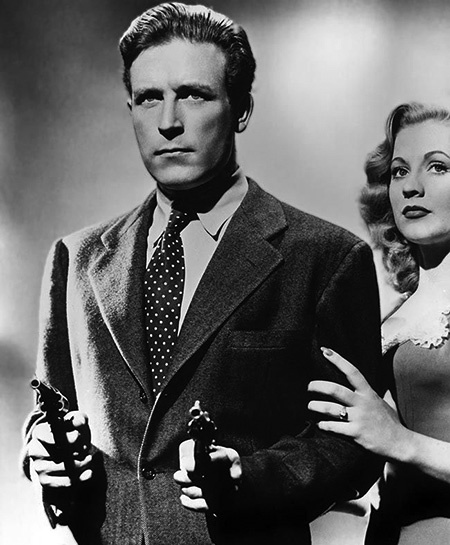 After serving a movie apprenticeship in supporting roles at RKO's B Unit, Tierney was given the lead in Dillinger (1945). The low budget film was well received and profitable, but Lawrence was labeled as "the handsome bad man of the screen". That label became harder to shake when Tierney built a reputation for getting into off-screen drunken brawls. This reputation kept him in the B Unit in increasingly violent roles. His pictures included Badman's Territory (1946), San Quentin (1946), and Born to Kill (1947). Tierney later said of this time in his career, "I resented those pictures they put me in. I never thought of myself as that kind of guy. I thought of myself as a nice guy who wouldn't do rotten things. I hated that character so much but I had to do it for the picture." During the early 1950's, Cecil B. DeMille tried to get his bosses at Paramount to offer Tierney a contract, but another bar fight ruined that opportunity. He went back to live theater to join the touring company of The Petrified Forest, playing Duke Mantee (Humphrey Bogart's breakout role in the 1936 film). Through the late 1950's, 1960's, 1970's, and into the 1980's, on the rare occasions that he was able to find film work, Tierney was invariably cast as an aging tough guy. He acknowledged that his trouble with drink was what held back his career, but even after he had sobered up he was still known for being difficult to work with on the set. Tierney suffered a series of strokes in the late '90's, and after staying in a Los Angeles nursing home, succumbed to pneumonia on February 26, 2002. He was 82. This collection contains his few rare appearances in old time radio. Be the first to comment on "Lawrence Tierney"